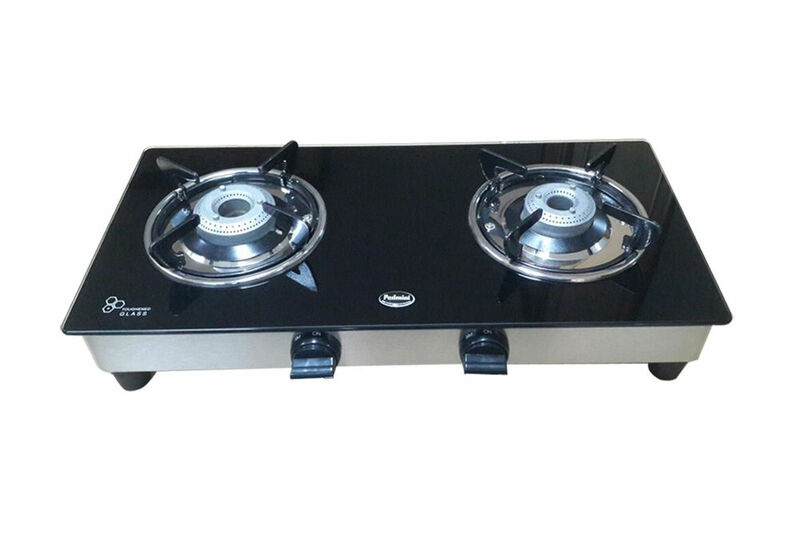 Padmini 2 Burner Glass Top - CS-2GT Nano L. P. G. Gas cooktop has International stainless steel brush finish frame and Pressure Die casted alloy burner. Padmini 2 Burner Glass Top - CS-2GT Nano L. P. G. Gas cooktop comes with wide toughened Glass working top, Multi Direction gas-inlet Nozzle and Stainless steel drip tray with Easy to clean stain resistant. Use this gas stove for the joy of cooking. It boasts of a strong stainless steel body with a toughened glass-top and modish knobs. It is space-efficient and can add to the style of your modern kitchen. It sports a spill-proof design and has high-speed and high-efficiency burners. Weight : 5 Kg Approx. Diwali Offers, for us, is much more than just the shelf of alluring deals and discounts. It's Infibeam's way of wishing you a very Happy Diwali ! The design is good.. Cleaning it is also easy and convenient..
No need to doubt on the low price.. The quality is way better, than I thought it might be.. Delivery was good.. done at time at my home.. that is in remote area..
What a useful burner.. It's long lasting.. Good product.. It is not upto the marked as 5 star given by various peoples. it is not as per my requirement. awesome quality..worth expending on this padmini gas stove. infibeam rocks !!! very elegant design and it suits my kitchen interior too. Got padmini gas stove in infibeam at best price. thanks to entire team of infibeam.